We buy, collect and process all sorts of metal scrap. Call us to find out how much yours is worth. FREE REMOVAL ON LARGE QUANTITIES OF SCRAP METAL. Free Pick Up Service for Copper over 100kg & Cables over 300kg. Weigh and pay on site. We won't pick up small Quantities, but feel free to drop off scrap metal at our yard. "When we say we'll something, we mean it." 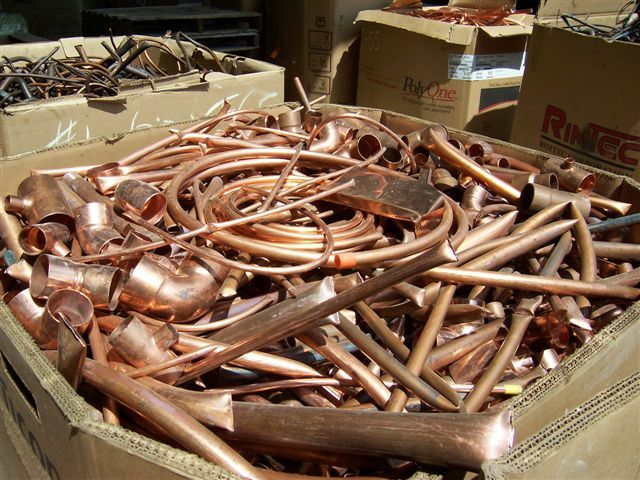 IMPORTANT NOTE – We pick up copper, brass, cable, lead, aluminum, stainless steel. Note – minimum quantity applies. We do not pick up household quantities of scrap. 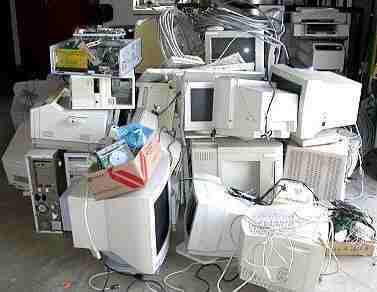 We would pick up commercial quantities of scrap. Please call us on 9707 2955. One man’s trash is another man’s treasure and that is very true when it comes to making money with scrap metal. Scrap Copper – if you have lots of this, we’ll come and pick it up and pay for it. By heavy scrap metal recycling, the economic benefits extend beyond the initial saving on future purchasing. It also adds substantial resale value, which in turn can be passed on by trading your scrap, and provides an unlikely asset to bolster the balance sheet. Scrap recycling is an environmentally friendly way of obtaining the scrap you require, which can be tremendously beneficial in terms of promoting a positive image to your clients. It is easy to see, given these major benefits, why recycling scrap metal is becoming more fashionable, and indeed more profitable. We’re sure you’ve heard about the many industries that have been turning their used products into great monetary gains. Plumbers, electricians have all turned to recycling their unused cables for extra money. Some of the more popular metals sold as scrap include Aluminium, iron, copper, brass, platinum, bronze and stainless steel. You may have free fencing, large metal pieces and dead appliances that are free for the taking if you will just get it out of their home or yard. What Is Scrap Metal? Most people would say that these are metal “scraps,” those metals and metal parts that most people don’t use. They usually include metal parts from a broken whole, old appliances sitting in the garage, wires, and the like. You might also be wondering what is scrap metal used for. It’s “scrap” anyway, so why bother? Actually, scrap metal can be used to earn additional income by selling them to scrap metal merchants. All you have to do is collect scrap metals and find the right scrap metal merchant in your region. Have computer scrap? We’ll take it. Scrap metal can be any metal you find in your home. They can range from the simple wires to the metal chairs and huge metal appliances. Household items that are rich in metals include refrigerators, stoves, dryers, washing machines, roofing iron, old plumbing and household electrical cables. Old cars can also be used for scrap metal recycling. You can also find scrap metals in garbage all around the neigborhood, even in other regions. Most people who don’t know its value tend to throw this so-called waste. However, there are two kinds of scrap metal: “Ferrous” metals and “Non-Ferrous” metals. Ferrous metals are metals which does not contain iron. They are usually priced at a lower rate compared to non-ferrous metals. In order to separate ferrous metals from non-ferrous ones, you should use a magnet. Magnets adhere to ferrous metals. The best scrap metals usually utilized for recycling include aluminum, brass, stainless steel, copper, bronze, gun metals, zinc, lead, and electric motors. What Is Scrap Metal And What Is It’s Importance? Recycling scrap metal is very important in today’s life. Why is this so? It’s because it has a huge impact on the environment. It decreases approximately 85% of air pollution. It also decreases mining wastes and water pollution by approximately 95% and 75% respectively. Recycling scrap metals also helps save energy by approximately 75%. Finally, the recycling of scrap metals helps decrease consumer wastes by approximately 105%. After finding, collecting, and sorting out scrap metals, then it is time to sell them to scrap metal merchants. It’s not hard to find one and most regions have scrap metal merchants. If you live in Sydney, then you should look no further. One of the best scrap metal merchants is only a call or a click away: E-Planet’s Scrap Metal Sydney. They give you the best prices for your scrap metals and they can even pick up your scrap metals in your desired location. 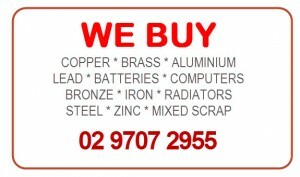 You can visit our website at www.ScrapMetalSydney.com. Are you looking for some fast revenue? Or maybe you just want to be a better citizen of the environment? Turn in your scrap metal here at Scrap Metal Sydney, the best scrap metal services in the city! Strictly speaking, there is no such thing as “rubbish.” It is merely an arbitrary term. Everything that we throw away is reusable From old car batteries to remote controls, television sets to computers, copper wires to aluminum cans, everything can be recycled. No one understands this more than Scrap Metal Sydney, because it is our thrust to recycle every scrap metal you turn in. Scrap Metal Sydney specialises in all kinds of metal including aluminum, copper, lead, brass, and steel. From the whole sorting and segregating process to the actual crushing and baling process, no metal goes to waste. 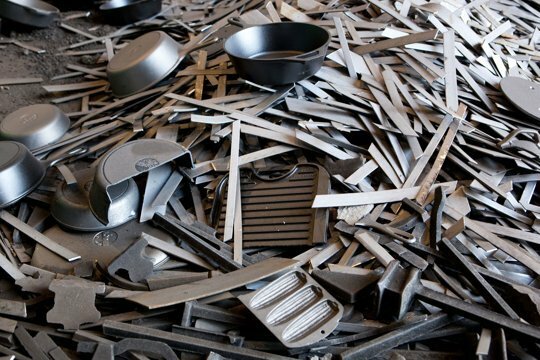 Not only does recycling these scrap metals help to reduce waste and minimize harm to the environment, but it also saves up to about 90% of energy that goes into making these metals from scratch. Thus, the benefits of recycling cannot be disputed. The great thing about Scrap Metal Sydney is we make everything customer-friendly. You have the option of using our scrap metal bins to help you store your different scrap metals. We also have onsite weigh and pay services and educate you about the different metals you turn in so you can maximize your profits. We can also disassemble different objects to get the scrap metal out for you or, you can avail of our pick up service which is free. If you have heavy loads you wish to bring to us, give us a call, and our friendly garbos will pick them up for you. The world needs a wake up call as we, as a civilization, face many unprecedented problems. Overpopulation, cyclical consumerism, and planned obsolescence are just some of the phenomena that lead to increasing humans’ rate of generating waste hundredfold. Studies show that by the year 2050, we will need one more additional Earth to supply us with enough resources to survive. Do we really want to wait until the worst possible moment before we all act responsibly? Do we want to see our children struggling with the problems our generation has created? Let’s do the right thing and recycle. At Scrap Metal Sydney, not only do you help the environment, you get a little moolah for it, too.